Double occupancy means the cost based on two being in a room. It’s have the cost of a double room. So, if the tour cost is $2099 and you are traveling with a spouse or partner, each of you pays $2099 and you stay together in one room. If you are traveling along and staying in a single room there is a single supplement charged. This runs about $450. Single supplements are limited to about 5-6 per tour depending on the number in the tour, so book early if you plan on traveling solo. We will try to pair singles if they’re interested in sharing a room. Just let us know. What is the primary mode of land transportation? The tour will move through the itinerary transporting guests on a motorcoach… medium sized, as the trip is limited to 30 guests. They are roomy and deluxe as far as coaches go. All land transportation is included to the sites listed on the tour itinerary is included. Since we focus our tours on one region, our goal is to see many sites and travel as little as possible on the bus, so our times on the bus are rarely longer than one hour to an hour and a half. Our goal is to have our guests “in” the Irish landscape for as much time as possible. How long are guests on the bus? Unlike most Ireland tours, we do not try to cover the whole country in 10 days having our guests spend 2 to 3 hours between destinations. We gear our tours for lots of sites in a regional locality. Most bus rides to and from sites are under an hour. Our goal is short bus trips and lots of sites. There are the occasional two hour rides when we’re traveling to a new city, but that might be once or twice per tour. Our coaches are roomy and comfortable. Is Northern Ireland safe?As most know, Northern Ireland is part of the UK and is a separate country from the Republic of Ireland. Northern Ireland consists of six counties – Armagh, Down, Tyrone, Derry, Antrim and Fermanagh. In the past there have been conflicts that involved violence. Today Northern Ireland is as safe as any European country with the vast majority of citizens committed to peace and economic growth together. Belfast is a vibrant city full of culture, shopping, history and fantastic museums. Derry is becoming one of the most attractive European cities with a significant focus on the Arts. The country-side of Northern Ireland is gorgeous and much less developed than in the more-traveled south. The average tourist sees nothing of the previous conflict except historical monuments to those lost that appear in the major cities. How fit should I be? How much walking is involved? 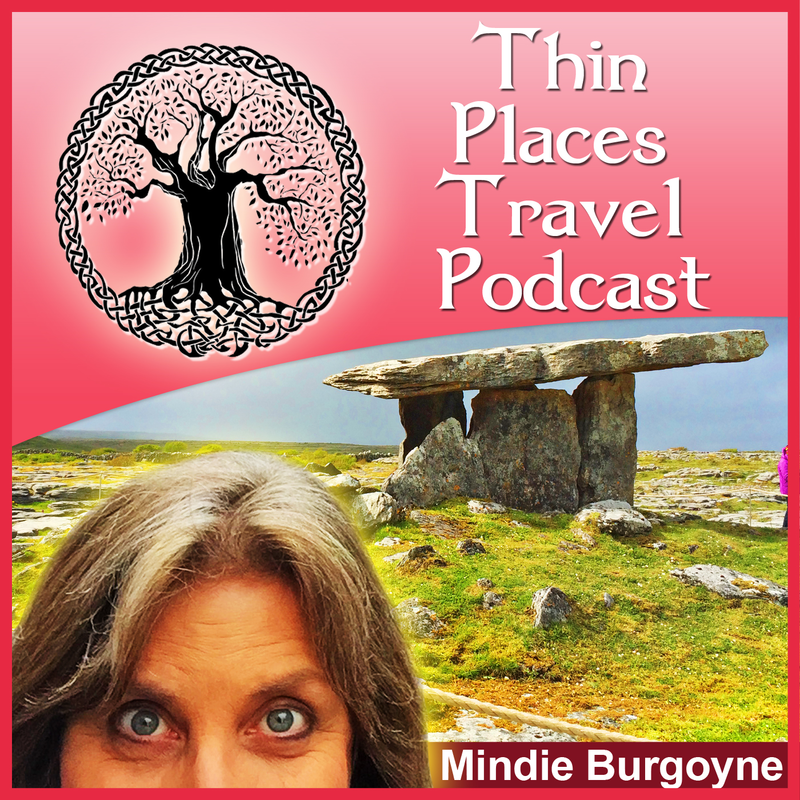 The Thin Places tours focus on the Irish landscape. Walking is part of every stop. Guests must be able to walk over uneven surfaces, such as rocky fields, cemeteries and grasslands, and up hills – sometimes steep hills. Sometimes sites are well off the road a mile or more. Guests always have the option of staying on the bus or walking only as far as they are comfortably able, but walking is a big part of traveling in Ireland. In addition, guests should be able to carry their own bags up two flights of stairs (not always necessary, but possible in hotels in rural areas). If you are healthy and able to walk two miles with no stops, you should be fit enough for all of the walking in this tour. However, with our tours, guests are able to pace themselves and decline some of the activity if they choose. What if a guest wants to take a side trip to visit friends or relatives? The itinerary is flexible for guests, so if they want to leave the group and stay behind for a day or two, that’s fine – so long as they can make arrangements to catch up to the group in one of its next locations at their own expense. This is relatively simple to do as Ireland is not a large country and the longest driving distances between locations is usually under one hour. NOTE: The registration fee does not waiver or decrease if a guest wants to divert from the itinerary. All diversions and transportation away from the group are at the guests’ expense. Is there any quiet time or personal time for guests away from the group? Our itineraries are planned so that guests stay in vibrant towns – and stay more than one night. This makes travel less stressful and allows guests to get out in the evening, talk to the Irish people, visit the pubs, listen to traditional Irish music or simply walk and take in the historic surroundings. Also, if a guest decides to stay back at the hotel instead of attend that day’s tour, he or she is in a town so there will be things to do and easy access to public transportation. This was deliberately planned so that guests could forgo a day’s trip with the group. They can choose to stay in town if they preferred relaxation away from the group or another diversion, and still be able to resume group activities the next day.